The beautiful and scenic township of Easley is located in between the two states of Georgia and North Carolina. The town overlooks the picturesque Blue Ridge Mountains. In addition, the town is close to some beautiful lakes. 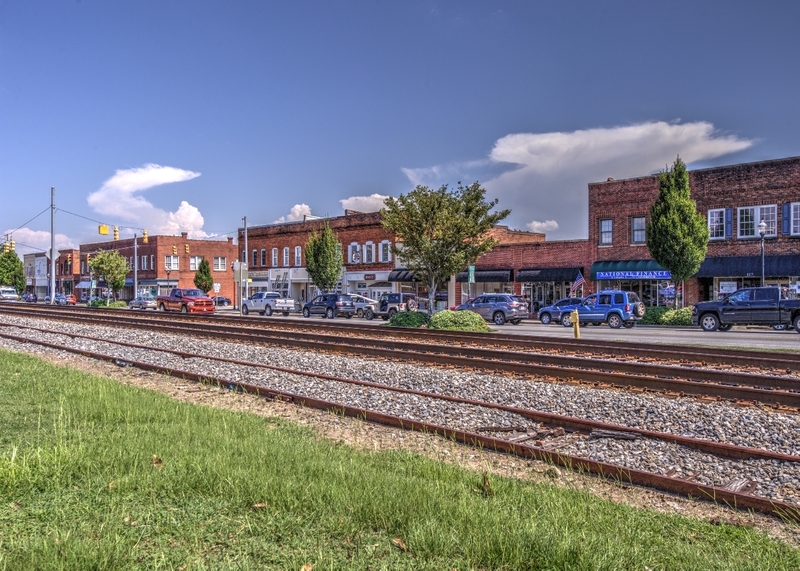 In Easley, you will experience quaint lifestyle, southern hospitality, and friendly environment. Here is an overview about the township. This beautiful township is located close to two prominent cities, Atlanta in Georgia and Charlotte in NC. The city is nestled in the northwestern corner in South Carolina between the cities of Pickens and Greenville. Easley comes under the Greenville–Mauldin–Easley Metropolitan Statistical Area in both Pickens County and Anderson County. The 2010 census reported that the population in Easley was 19,993. This shows that the growth of population was at a steady pace from the last census in 1990. The town is approximately 429 miles from Washington DC and 115 miles from the state capital. The scenario of real-estate development in Easley highlights that the township features a wide variety of homes, apartments, senior residential communities, and apartment complexes. The new home cost in this area range from $160,000 to $500,000. However, a number of cheap homes and apartments are also found in outer city limits. As Easley is a small city, the overall housing costs include minimal taxes and utilities. This makes the real estate market more favorable for many middle-class families. The main school district of Pickens County serves the township of Easley. This school district is one of those top rated school systems in South Carolina. In total, the town is served by six elementary schools including Crosswell, East End, Dacusville, McKissick, Forest Acres and West End. In addition, there are two middle schools and one high school that serve this area. For higher education, the city offers several options including Clemson University, Tri-county Technical College, and Southern Wesleyan University. The University of Clemson is the second-largest higher education facility in South Carolina featuring more than 75 graduate programs and 100 undergraduate programs. This scenic township offers a range of manmade and natural attractions for visitors like you. There are a number of parks, botanic gardens, and outdoor hiking trails in this area. The famous Carolina Botanic Gardens is one major attraction in this area. Shopping scene in Easley includes a range of antique stores, fashion outlets, and small boutique. History buffs will be excited to explore the unique historic attractions in Easley including the Mauldin House, Victorian Jail, and the Pickens County Museum. The lively communities of Easley celebrate a number of fun-filled festivals, regional festivals, and community events. In addition, the city also hosts the Big League World Series for the past few years. This huge event draws visitors from all over the world. Those interested in visiting the Upper South Carolina State Fair should be happy to know that the site is just 2 miles from the eastern end of Easley city.